Retail shops do most of their business during the holiday season -- which kicks off the day following Thanksgiving, famously known as, Black Friday. Did you know that small businesses have a major shopping holiday as well? It’s called Small Business Saturday and it falls on the Saturday following Thanksgiving each year. American Express is credited with the creation and promotion of Small Business Saturday and they’ve made it easy for all small businesses to get involved in their own way. Make sure your shop is clean, decorated, and not lacking any major repairs. If you do have any eye sores, or potential liabilities be sure to resolve them ahead of time. Sign up for Small Business Saturday and get your FREE promotional items -- this even includes customized graphics to be used on your social media accounts. Review your inventory and stock up on popular items. Have one item that you can’t seem to keep on the shelves? Be sure to have extra on hand for this day. You might want to use this item in your advertising leading up to Small Business Saturday when it will be available again. Promote Small Business Saturday on your social media accounts. Consider offering some special Small Business Saturday giveaways or discounts. This could be as simple as an extra punch on their frequent shopper card and complimentary cookies when they step in your shop. Think out of the box! Extend your hours to make the most of the day. This doesn’t need to be a permanent change, but try to make the most of Small Business Saturday. Since its promoted by many other small businesses people will likely be out and about to shop around locally, and just by being open you might get new customers. Promote what makes your shop unique. You aren’t here to compete with big box stores -- make the most of what makes you different. People often appreciate quirks. 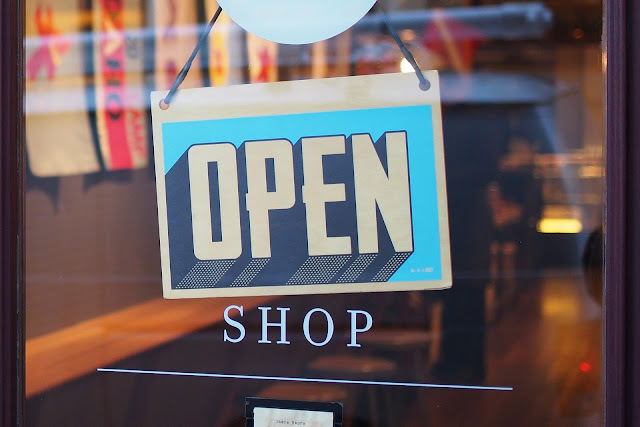 Although Small Business Saturday is a major event for the small business owner -- it’s important to look at it as a starting point, to remind customers to keep your shop in mind throughout the holiday season. Consider offering a flyer with promotions happening throughout the season, and ask them to spread the word to their friends and family.